As interior designers, we’re always on the lookout for ways to build a more sustainable environment. When creating custom furnishings for our clients, we have the opportunity to repurpose and upcycle goods that will otherwise be consigned to the landfill. I’m excited to share the work of innovative designers who magically transform junkyard finds and compost fodder into unique furnishings, while others harness green tech to turn prefab housing from traditionally uninspired modular units into gracious, eco-friendly homes! 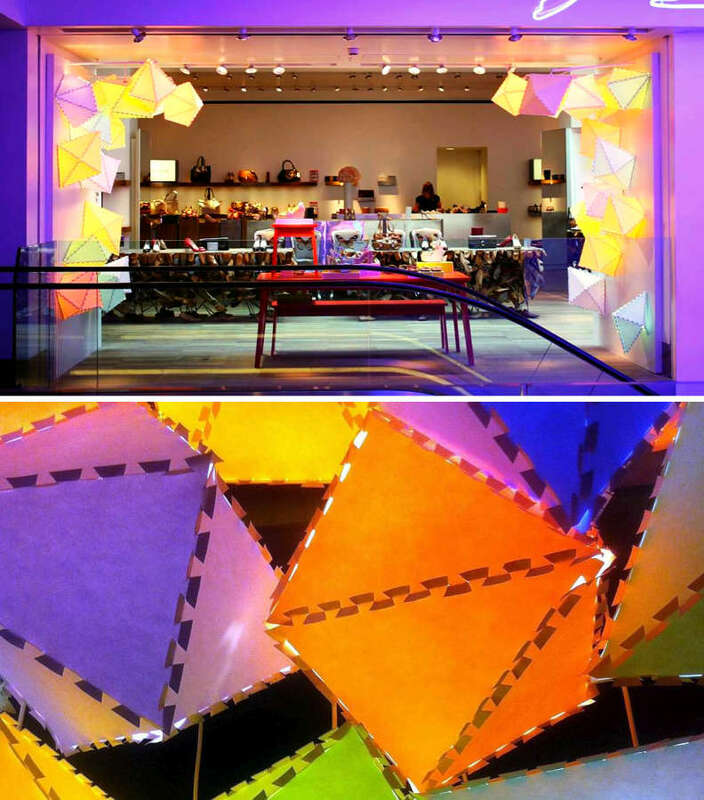 Pretty lanterns that promote recycling and minimize waste. To top it all, they come in a riot of colors and are easy on the pocket book! GEOD by Freyja Sewell comes in flatpack panels of colored biodegradable paper in a range of sizes. Deceptively simple in construction, the fixture is formed by interlocking the panels’ projecting tabs together, obviating the need for any adhesive materials. These stools are an homage to nature and imperfection. 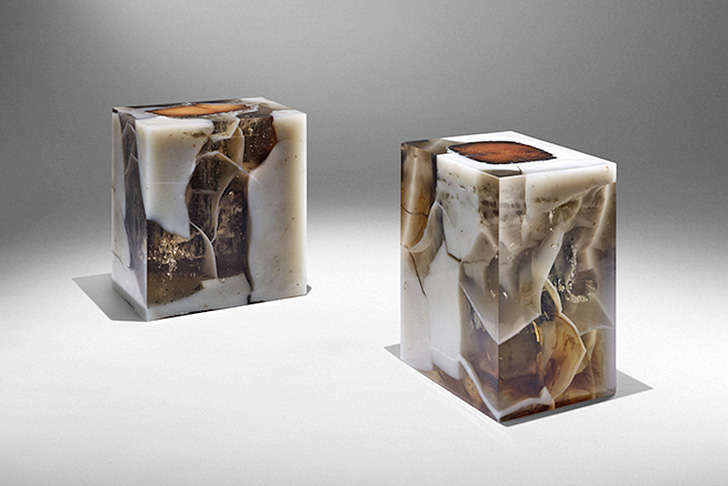 These stunning stools by Studio Nucleo vaguely resemble vegetation trapped in cracked ice. 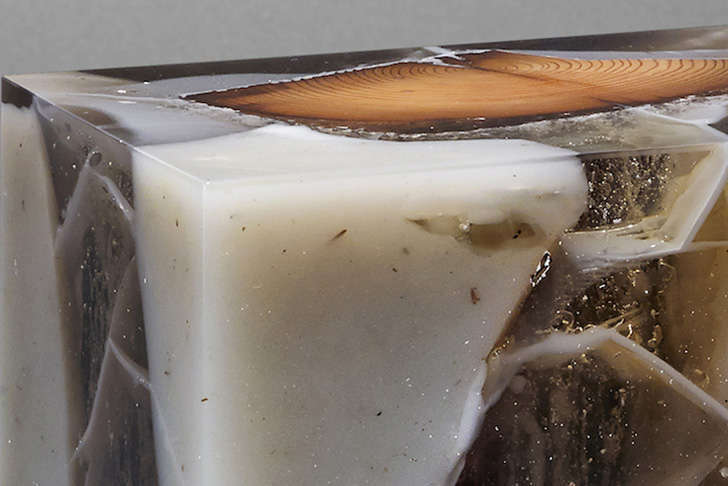 Branches from a 200 year old oak tree are upcycled and submerged with hardened, cracked resin in a vat of liquid polymer. Aside from the awesome 3-dimensional look, the bubbles and fissures inherent in this process are unique, making each stool a veritable piece of functional art. A clever way to repurpose old office chairs! 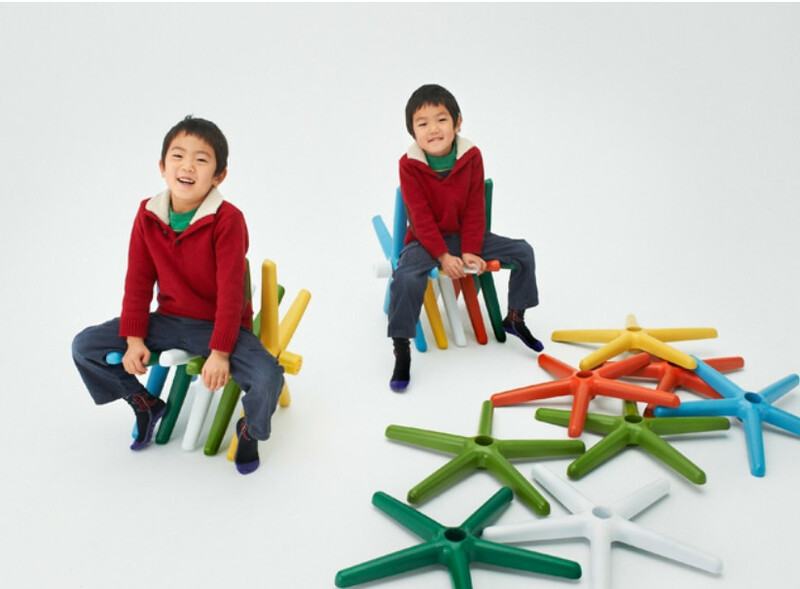 Designers-in-Residence of the Nakadai industrial waste processing plant came up with this creative solution to upcycle discarded office chair bases. Once the parts are collected and repainted, children get to select their own pieces and assemble the Block Chairs themselves. This way, they get an early introduction to sustainable living in a fun and meaningful way. A stylish bed for your furry friend. 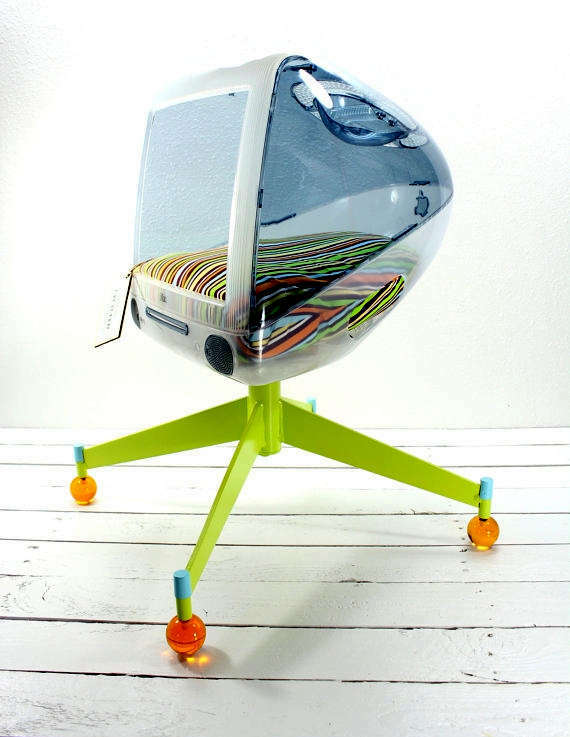 Any feline should be suitably impressed with this iMac G3 case conversion. The eye-catching chair base and lucite balls add extra pizzazz to the pet furniture. A conference table that’ll be at home in a startup. 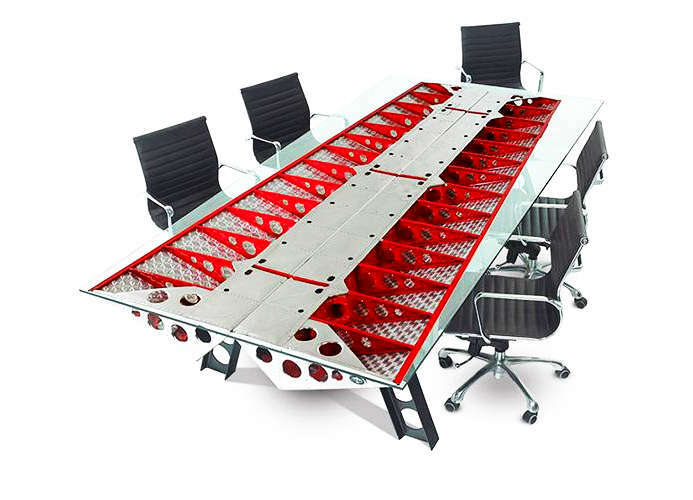 Extreme makeover – this conference table by MotoArt showcases 2 repurposed ailerons from a Beechcraft airplane and sports an authentic serial number plate. The industrial aesthetic is amped up with turned aluminum under-paneling and exposed rivets. For any company that plans to fly high, this table says it all! Cool way to upcycle bicycle wheels and frames! 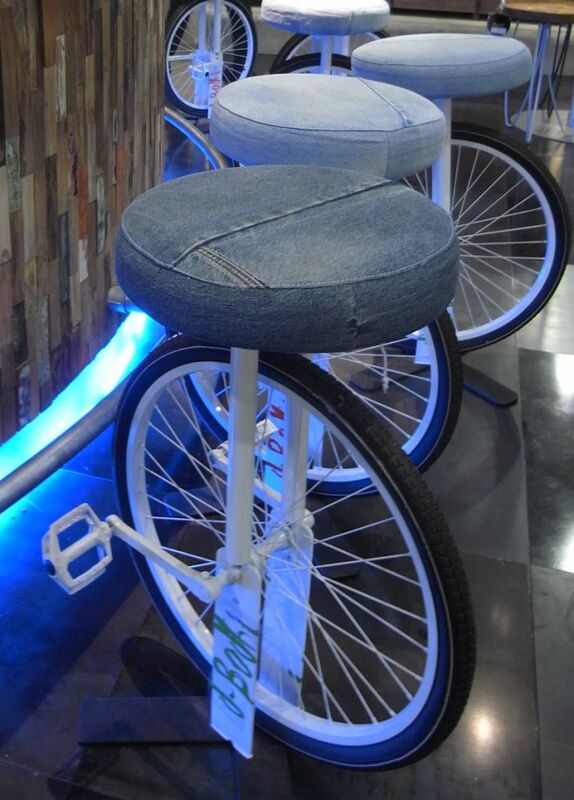 These bar stools exude green creds with reclaimed bike parts and seats upholstered in salvaged denim. A safe bet one won’t get cited for BUI when pedaling the ‘bikes’! Oil drums find second lives in a variety of furniture applications. 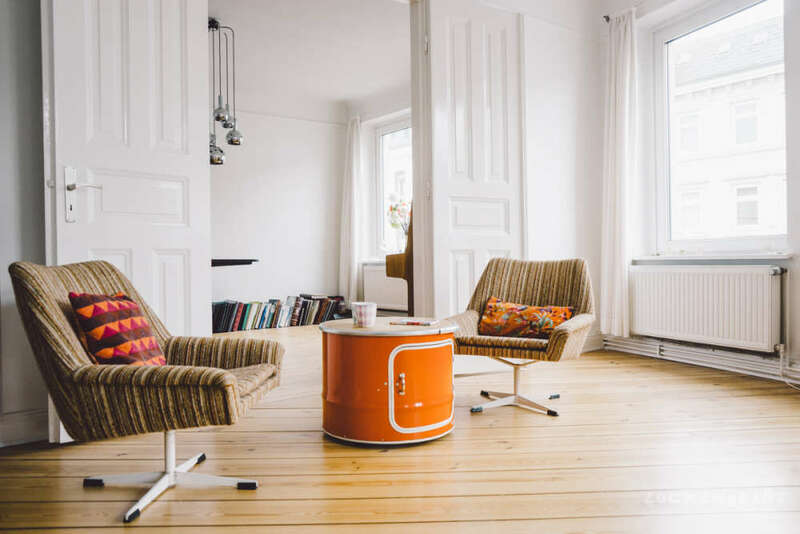 German firm Lockengeloet offers eco-friendly furniture and accessories with 80% recycled content. It turns grimy oil drums into a collection of colorful coffee tables, mini bars and stackable storage units. For a more finished look, you can even add a spruce or oak wood top! 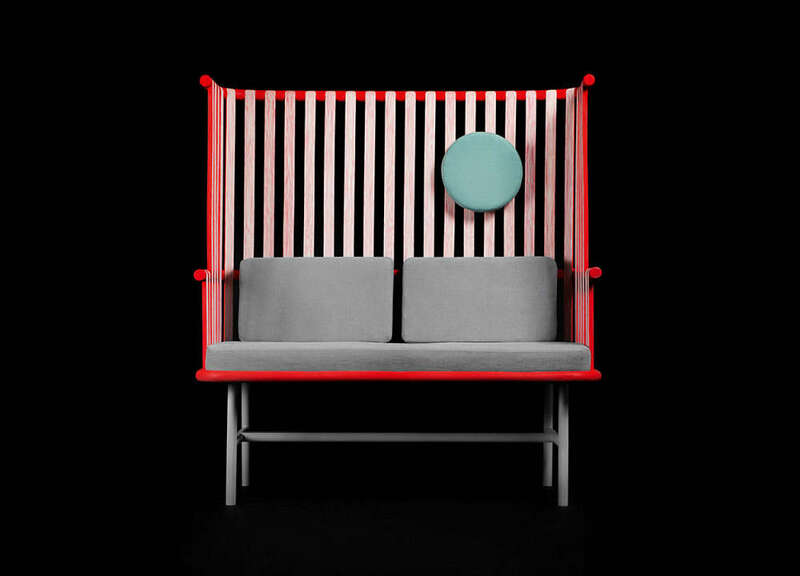 2-seater bench made from highly renewable – rattan. The lightweight bench sits on aluminum legs and comes with cotton-linen seat, back, and repositionable head cushions. Using a new patented technology, Out for Space injects rattan with bulking materials and colorants to create colorful palm strands that are firmer, harder and more weather-resistant. Incredible but true – these stylish, modern houses are prefab homes!! Blu Homes offers open, spacious floor plans that are environmentally friendly to boot. The company operates a zero-landfill manufacturing facility and builds with sustainably harvested or reclaimed wood and recycled steel. 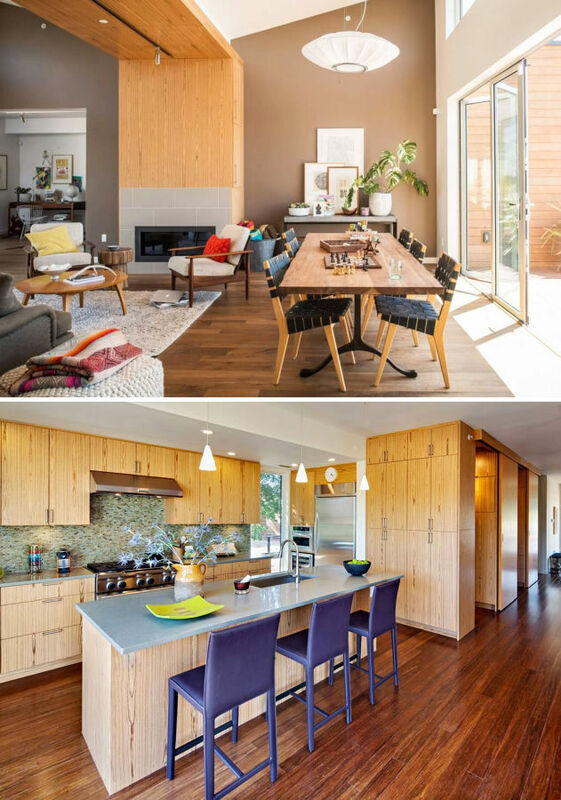 Since its high efficiency appliances, lighting, heating & cooling systems can cut energy consumption by 70%, we can safely say these eco-conscious homes are not only good for the planet, they are good for the wallet too! This entry was posted in Furniture, Green Design & Construction, Lighting and tagged Biodegradable, iMac, Rattan, Recycle, Repurpose, Upcycle by Marie Chan. Bookmark the permalink.